There’s no denying the retail industry is in a state of transformation, evolving in unprecedented fashion and adding the need for a shift in both basic and complex business practices in order to stay competitive. The lift is not light, but the risks associated with sticking with the status quo are devastating. Whether the primary cause is e-commerce, changing retail strategies, or shifting consumer trends, one factor is definite: Customer demand is only becoming more immediate and more personal, further complicating the already difficult landscape. Customer experience has replaced price as the baseline differentiator between success and failure. The expectation is to receive an exceptional experience, every time — a reality and success criteria that still proves elusive for many. While e-commerce is a component of many retailers’ strategies, most players are retaining a strategic focus and investment on brick and mortar as an important part of the overall brand puzzle. Storefronts are being strategically reimagined to offer thoughtful in-store experiences that inspire consumer loyalty — critical for success — but very difficult to achieve online. In addition to loyalty, this strategy lends itself to an increase in the retail footprint which contributes to overall sales, regardless of whether the fulfillment is in-store or online. But in order to execute successfully, retailers must pay attention to the critical component that is “brand uptime” within their physical locations. For e-commerce sites, brand uptime means an easy, elegant, and consistently responsive user experience. Equally as important, in-store brand uptime refers to your physical infrastructure as it directly impacts your customers’ experience and your overall company performance. Despite the fact perception is subjective, the manner in which a customer perceives your brand’s physical presence directly affects how a customer experiences your brand, irrespective of the channel. Apple is a brilliant example of leveraging physical stores to increase its overall market and brand footprint. Apple employees are trained to deliver a very specific customer experience, differentiated by the fact they aren’t focused on selling devices but rather on talking to interested people (not “customers”) about Apple products, building relationships and fostering loyalty for its evolved version of “service.” This is done in the physical confines of an Apple store, the embodiment of the “easy, elegant, and consistently responsive” environment that defines brand uptime in a store. Retailers that understand physical locations serve as the most direct touchpoint with customers have a considerable advantage. Engaging experiences have the power to drive people to stores and keep them there, impacting sales, loyalty, and word-of-mouth advertising — arguably the most powerful model for influencing consumers. This also means physical locations must be constantly maintained to project a consistent and positive brand image. From lighting and cleanliness to HVAC and exterior landscaping, how you “touch” the customer proves just as critical to your brand and its value as the brilliant and innovative experience that attracts the customer to the store in the first place. 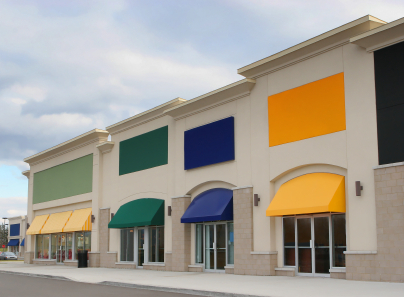 Facilities management and maintenance plays a vital role in maximizing brand uptime at brick-and-mortar locations. Infrastructure flaws such as messy or leaky facilities, faulty or broken equipment, light outages or parking lot potholes can severely impact how customers view your brand, even after issues are resolved. And negative experiences don’t tend to go away quietly; the brand itself is harmed across channels, underscoring the importance of store uptime and its connection to overall brand uptime. Maintaining facilities to achieve optimal brand uptime may sound like a no-brainer, but it can prove a logistical nightmare if it’s not prioritized at the same level as, say, keeping a website online and functioning at maximum capacity. In fact, tremendous complexity results from the potentially thousands of unique, distributed locations to care for — each of which requires complete visibility across its particular geography, employee base, assets, and contractors to ensure proper execution. Technology specifically developed to address this facilities management challenge is the answer to what could become a logistical tragedy and, fortunately, new, state-of-the-art technology solutions are becoming more and more prevalent, driving not only lower costs, but stronger uptime and brand compliance. Streamlining the processes that contribute to a smooth facilities program can better ensure your brand uptime. Delivering a consistent in-store — and omni-channel — experience for your customers will likely prove a compelling critical advantage that extends long after the door closes quietly behind them, to when they open your app or webpage and continue capitalizing on the delightful, comprehensive retail experience that your organization provides.